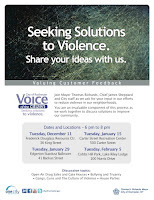 Alex White and Dave Atias attended the City's first Voice of the Citizen meeting. This one was held at the Frederick Douglass Resource Center. 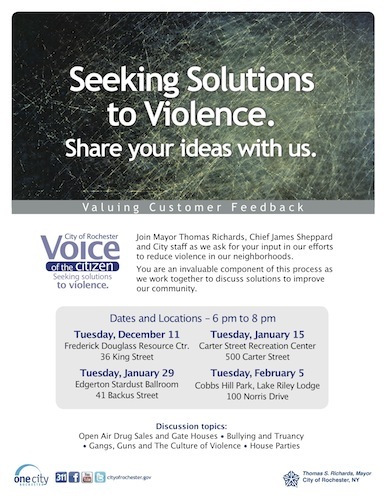 The VOC's are focusing on violence. Alex and Dave were very appreciative of the voices heard in the packed house, especially the young adults from Teen Empowerment. The City seemed to focus on police-centered solutions while others, including Alex and Dave focused on jobs, recreation, financial literacy, restorative justice and more. There are three more, we hope to see you at one. You can listen to the podcast here or click the link in the column on the right. This episode, Alex White and Dave Atias discuss the recent election and what the results mean for Rochester. At the federal level, both major parties still want to cut our safety net and favor the wealthy and locally there was no real change. Of the 14 state races that touched Monroe County, only 6 of them were even contested. But there is hope and that is what we talk about. And remember, next year will bring local elections, where change can actually happen. Give us your feedback. You can listen to the podcast here or click on the link in the column to the right. First the NY Times wrote an article claiming all counties and cities in New York are begging Albany for money as they are facing huge deficits. Then the local D&C implied that Rochester may go bankrupt when discussing Syracuse's financial problems. These could not go unanswered so Mayor Richards spoke to WHEC news and denied that Rochester will go bankrupt in the foreseeable future. Despite the official denial, cities and counties did reiterate their plea for more money from Albany. This is not surprising as rapidly increasing pension and medical costs and the recently state-imposed property tax cap are putting great strain on most local governments. This combination of rising costs and capped revenue is bound to cause problems eventually. 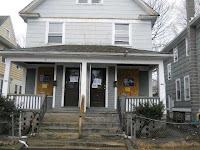 Looking at our community, Rochester is not doing well. Last year we faced a $40 million budget gap and even after help from the state we were still $25 million short. There were some cuts and many people saw their taxes increase as the city raised the assessment of their properties, but the City also assumed sales tax revenue would grow by almost 4% and that the unions would agree to pay some of their medical costs. While sales tax revenue has grown a robust 2.4 % this still left the City almost $2 million short of what was needed and the unions did not give back the more than $3 million the City needed. There is obviously a problem. With a possible shortfall of $5 million and an expected pension increase of at least $10 million for next year, these are tough times. Fortunately, thanks to the City’s previous mistakes, there is a solution. For years, we have been taxing large properties at far less than the appropriate amount. Many of the buildings like the Merkel Donohue building are for sale for 3 times what they are assessed. Some have recently sold for at least three times their assessed value. What this means is that there are a lot of properties which could be taxed appropriately thus raising funds. The best part is that assessing these properties appropriately would not hurt “job creators” as most of these projects are rental properties like Erie Harbor, Pathfinders Holdings, or Corn Hill Landing. Some of these projects that are described as "job creating" are really just cash cows for the property owners who rent their properties to businesses at market rate. A good example is the Windstream building at the old Midtown Plaza. These deals only inflate profits for the property owner and allow them to unfairly compete for tenants with other smaller landlords. 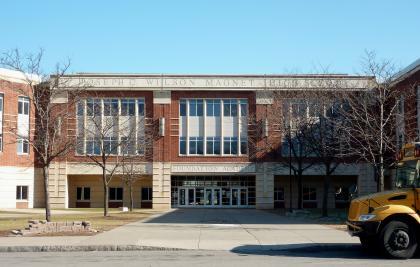 All told, there are at least $100 million which Rochester could raise from these large properties which have enjoyed substantial tax breaks for years and are paying less than a quarter of their appropriate rate. This does not mean that Rochester should not pursue more state money, nor that we should stop asking for mandate relief, as the problem needs to be attacked from all angles. But there are rich and profitable companies which have enjoyed favorable tax rates for years at the expense of the community. As we have cut hours at libraries, laid off teachers, and cut recreation, many rich people have enjoyed high profits due to low taxes and now would be a good time to end this corporate welfare once and for all. Alex White and Dave Atias discuss the Collegetown project in the Mt. Hope area of Rochester. We discuss how the project began and what the residents of the neighborhood were told they were getting in the beginning. Alex has a theory that Collegetown is not intended to be successful. But Dave worries that while this will take years to find out the truth, other corporate welfare-funded projects will be imposed on our community. Let us know what YOU think. You can listen to the podcast here, click on the link on the right or listen to Rochester Free Radio. It seems that whenever someone starts suggesting that the rich need to pay more taxes, someone chimes in to remind us that the rich pay a lot of taxes. They say that the real problem is that 50% of all Americans pay no taxes. Well the unfortunate fact is that this is true . But when you look at these numbers what you really find is that 37% of all Americans are too poor to pay taxes. For 15% of Americans, either the standard deduction or earned income tax credits are greater than what they owe. A full 22% of Americans get such a large percentage of their total income from Social Security that they do not pay taxes. You may notice that there are still 13% of Americans who do not pay taxes. These are people who are able to "zero out" their income through other deductions for mortgage, interest, charities, etc. Most of these people “earn” a high income and yet they do not pay taxes. I see two tragedies in this, both of which seem to have escaped notice. First, it is a terrible injustice that in a country of such wealth, 15% of the working people in the country make too little money to pay any taxes at all. It seems obvious that there is a problem in our wage structure that there are people who work for so little money that they must receive public assistance to survive. If they make so little that there needs to be an earned income tax credit then what is really happening is that our government is supplementing the wages of these individuals. This means the companies they work for are really receiving government assistance and helping them keep wages artificially low. The other travesty is that so many affluent people are not paying any of their share of the costs of having a representative government. In this election season it would be great if candidates other than those in third parties, would talk about these problems. Between taxes, incentives, enforcement, and the minimum wage, there are many ways to get companies to pay living wages so the government can stop having to provide this form of corporate welfare. It would be nice to finally hear a discussion of how best to tackle this problem. Further it would seem productive to examine our tax codes and determine if we really want all of these deductions the wealthy use to avoid taxes. Such a debate is probably asking too much of our “mainstream” candidates, but that does not mean that we the people cannot discuss this amongst ourselves and vote accordingly. Alex and Dave discuss the recent incident in Downtown Rochester. Rochester residents of various ages, races and economic class were marching through downtown delivering an anti-capitalism message. Whether you agree with that message, the Rochester Police Department's reaction was totally inappropriate and shows why Chief James Sheppard either should resign or be dismissed. Alex and Dave discuss why as well as different options for the police department. Here's the link to Rochester Roots that was discussed when they went on a brief tangent. You can listen to the podcast here, click the link to the right or tune into Rochester Free Radio. This week, Alex and Dave discuss the Mayor's and Police Chief's Cool Down Detail. This is just harassing people who are already harassed by the condition of their neighborhoods and it has never worked. We have alternatives to proactive policing that relies on restorative justice, community policing, increased recreation and more. We even tie this to Fair Tax Assessment! Listen to the podcast, read the blog post and leave comments on our website and Facebook. 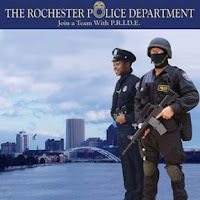 Rochester uses a police technique called Proactive Policing. This technique is what is being used in the recently announced, “Cool Down Detail.” This practice is where the police actively engage citizens before a crime is committed or a complaint is filed. The major elements of this are stop and question, stop and search, and move on notices. In effect they identify people whom the police identify as likely wrong doers and engage them in questioning, trying to find a reason to search the person or order them to move along. This approach has the side effect of increased fear and mistrust between the community and the police. It also lowers the clearance rate (the percentage of crimes which the police can close the case due to an arrest or other solution) on crimes. This lowered clearance rate can be clearly seen in Rochester, where the rate of solving homicides has fallen from 80% to 26% in 25 years. There are factors at work here like the closing of neighborhood police stations and RPD’s zero tolerance policy, but proactive policing also works to create a greater divide between the police and the policed. Thanks to these practices, there is now a culture where people in many neighborhoods and people of color are afraid to talk to the police. There are alternatives to these approaches. The Department of Justice recommends a different approach for crime reduction and that is community policing. This approach actively engages the public but does so with the purpose of creating partnerships between the public and the police. It stresses community connections and a problem-solving approach to reduce crime using those relationships. The kind of relationships referred to here are essential in revamping RPD into a restorative police force, which is key to reducing violence in our city. A restorative police force finds ways to repair the harm caused by crime rather than to be a retributive force. This does not mean the police are soft on crime. They must still investigate and apprehend criminals in many cases, but by using the positive relationships formed with community members, officers can prevent problems from becoming serious. It encourages community members to call the police before a law is broken to get help with a dispute. This approach is also very effective with the community problems associated with poverty and homelessness. In an 18-month study of police forces where this technique is being used (Santa Barbara, California and Leicestershire, England were two participants) it was found that there was a reduction in recidivism of 15% for juveniles and 22.6% in adults. Further, these studies found that restorative community policing created huge savings to the community. This seems remarkable, but it is the experience of all places using community restorative policing. There is a reduction in costs for public safety, a reduction in repeat offenders, and a reduction in crime. The Mayor’s and Police Chief’s idea to stop people on bikes and otherwise harass members of the community who are already plagued with harassment from crime in the name of safety has already shown not to work and doing more of this will not stop violence, so perhaps it is time for Rochester to stop being the least safe city in NY and try a new approach, which at least offers some hope. You can listen to the podcast by clicking here or the link in the right column. The City has put out its new budget and, as required by law, it is balanced. This has been done by getting $15 million from the state, cutting some capital expenditures, using $3.5 million from reserves, asking unions to pay more for health care, and claiming sales taxes will increase by $3.5 million. What was not cut though is perhaps more interesting. The City has a few major areas of investment and no funds for these were touched. In the next budget we will be spending $12,851,000 on the Marina and Midtown Rising. Of this, only $750,000 will be coming form another government agency. So after the State raised our Aid and Incentives to Municipalities for one year we went out and spent most of this money on 2 building projects. It seems odd that we are putting off road repair, asking unions to give concessions on one year-old contracts, dipping into the reserve, canceling funding programs which help our young people graduate high school, cutting funding for recreation, and scaling back library services so we can pay for building projects. In fact, these two projects represent 40% of the total capital expenditures for the City in the next budget year. So what are we getting for our money? For Downtown, we have reconstruction on the old Midtown site with roads, sidewalks, infrastructure, and landscaping. This 16-acre site has 2 projects on it. One is the Windstream building, which is owned by Pike and is an $18 million investment to turn a once-viable building into something usable. 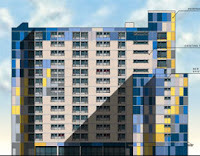 There is also the Midtown Tower, which was given to Conifer for $1 and as of today, nothing has been done with this. To date over $150 million of public money has been spent on this site and we have been able to secure less than $20 million of investment. Now we are throwing more money at this huge money pit. The Marina is a more interesting project. This project presently does not have a developer or a plan but we are spending $8.5 million to put a marina in an area which is already serviced by 3 other marinas, none of which were filled to capacity last year. With rising gas prices and an unstable economy, it seems that there would be little demand for another marina, but the plan is to create an inducement for condominiums to be built, thus creating demand for the new marina. This seems like a lot of speculation with questionable pay back, particularly at a time of another budget crisis. 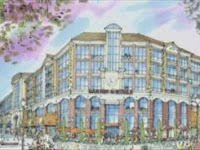 These are only the largest projects as College Town is getting $450,000, High Falls is getting another $271,000, and Erie Harbor is getting another $480,000. So it seems that the big winners of the budget are the developers, which makes me wonder what are the priorities of our City leaders? The Sibley Building is the poster child for bad development in Rochester. In 1992, it seemed like a great idea to help Wilmorite renovate the Sibley Building. Here was a deep pocket company with experience in retail spaces taking on a very challenging project, which was going to revitalize this section of Main Street. Twenty years later the City is left paying the bill for this whole project while Main Street is in worse shape than ever. At one time this was a $22 million project, but now it owes the City more than this in unpaid loans and back taxes. This amount could be much higher if we did not extend the generous tax agreement which valued the building at mere $12.50 a square foot but ran out in 2002 even though this building stopped paying taxes in 1998. This project floundered even though the county gave a very favorable lease for the Downtown Campus of Monroe Community College. Through all of this, the City refused to foreclose on the property or collect on the unpaid debt. So now we are being asked to pay off the last of these loans and settle the tax lien so the property can be sold to another developer who will revitalize this section of Main St. This seems criminal. If you break open a parking meter and steal the change inside the City goes after you. If you fail to pay the taxes on your house the City forecloses. But if you steal millions from the City they forgive you. Mayor Richards claims there is nothing he can do but this is just a rationalization. The City does have options. The City could foreclose on the property and take it over immediately. Presently this property is earning $3.5 million a year from the lease for MCC. Taxes we should be getting from that generous arrangement are less than half a million which leaves $3 million for operating expenses and it seems like this should make a profit for the City. Further there is a buyer and if we foreclose we get the total sale price of the building. It seems very straightforward and easy to do. This process would even facilitate the sale of the building as it removes the debt problem from the equation. So we would then be able to get this into the hands of someone else quicker. It would be nice to know that this was a one-time situation where a savvy developer hoodwinked the City into a deal where the developer could avoid payment, but that is not the case. The City uses the same tax and loan agreements on projects all the time, including the recent College Town project. So they have not only failed to correct the problem with the Sibley Building but have expanded it a hundred times. If there ever was a reason to try something else it is with the Sibley Building, but our City leaders never learn and we keep accepting this as the only option for development. Hopefully someone in charge will wake up before the next major project falls through and costs the City (and the taxpayers) millions of dollars we do not have. Desperate economic times call for desperate economic measures. So in order to close the budget deficit the City of Rochester has decided to delay all road repairs for a year. Instead they are spending some of the money saved on a road remediation process called oil and stone. While this seems like a good “band aid” solution, this process creates more problems than it solves. Rochester has a combined sewage and water system. So the waste from your sink mixes with the rain run off on the streets and goes to one place for treatment. When you put stones on the streets some of these end up going down the drain. This will eventually clog the sewers but even if this does not happen, it poses another problem for the system. These stones will help block material from flowing freely and this build up of material will eventually harden, creating a solid lining which is very costly to remove. There is also the oil, which is put down with the stones and also runs into the sewers and thus our water supply. Now perhaps this would be acceptable if the oil and stones permanently protected our streets but they do not. This procedure only delays the need for repairs and burdens future administrations with more problems. It seems to me that if we have $4 million to oil and stone roads, then we should be able to fix a few instead and avoid the unnecessary complications which this process causes in an urban environment. And to stay on our theme, if the City assessed properties fairly and appropriately, we would not have to make these kinds of choices. Alex and Dave discuss social businesses and co-ops. What are they and how can the help Transform Rochester? The concept of a social business was started by Muhammad Yanus. It involves the realization that capitalism alone just does not work. We contend that investing our tax dollars on smaller, locally-owned and developed projects is better than continuing to fund larger projects such as College Town. The example Alex discusses of import replacement is Evergreen in Cleveland. Tom Richards' flashy State of the City Address was a wonderful mixture of platitudes and problems. The jokes were funny and he was not afraid to mention some very big issues. While most of the presentation focused on the problems it seemed to gloss over the solutions. I want to start where Mayor Richards left off. Rochester has a structural deficit whereby the City is unable to cover its expenses. The worst part of this is that Rochester only controls a small part of its financing and the rest is left to the caprice of the State. As a result, Rochester is unable to provide all the services which make Rochester an attractive place to live. So how do we correct this? As usual, I have a few ideas. We should be fighting poverty with home ownership. I have nothing against rental housing, in many cases, landlords do not live in the community where they own property. They may maintain these homes, but they do not spend their money in Rochester. As a result, they do not support local businesses nor increase the cycling of money in a community. Whenever money is spent, a portion of that money leaves the local economy and the rest is spent again at home. The larger the percentage that remains local, the more times it is spent and the more the economy grows. Local spending creates more local spending and when city landlords do not live in the city, the Rochester economy suffers. A program to increase and preserve home ownership would give greater returns than a huge housing project. For the same reason, we should be investing in local businesses and rather than creating building projects that house national chains. If we made loans available for business that required local ownership in projects like College Town, then we would have a stronger economy and generate more revenue for the City. To facilitate this, the City should be a leader in import replacement. City Hall should work with other large companies to find out what services they use that are provided by businesses outside the city. Then, the City can use this information to facilitate the creation of locally-owned, co-op businesses in the city with local residents as owner-workers as was done with Evergreen Laundry in Cleveland. Finally we need to start fairly assessing all properties. In Rochester, many middle-income houses are over assessed by a little, but large commercial properties are under-assessed by a lot. This has created a positive investment environment, but has also created a tax base which is incapable of supporting our needs. While we may need to occasionally give tax incentives for job creation, these incentives should be temporary leading to the owners paying taxes on the full value of the property. This would allow our city to lower the tax rate but collect much more in taxes. After all if everyone paid their fair share the burden would be easier to bear for everyone. With these changes we would still foster growth while creating real wealth in our community. The focus on jobs and local spending would help reduce poverty and increase revenues for the city while a lower fairer tax rate would stimulate investment at both the small and large levels. This would solve the structural deficit which Mayor Richards fears is threatening our city and is the only positive solution that has been presented so far. Some people would argue that there is a need to under assess new projects in order to get jobs or new construction into a city. This might explain the actions of the city on new construction though there is no record of any deal involving assessment. But what about older properties? These have been built and paid for years ago and any deals the city or county had with them should have expired. Well fortunately there are usually many properties for sale in any city at any time and in Rochester there are a number of them. On page six of this Downtown Market Summary, there is a list of properties for sale and a number of them list the asking price. Looking up the assessment and comparing I found a few interesting items. 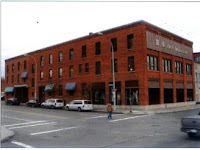 The Merkel Donahue building is assessed at 818,000 but they are asking 2.8 million for it. 454 East Broad is for sale for 1.25 but only assessed at 460,000. While 49 Stone St is assessed at 550,000 and they are asking just under a million. This shows a pattern, which seems to indicate that the city is not getting its full market value correct on these properties. If these three were assessed for their asking price the city would be getting an additional 140,000 a year. This becomes a bigger problem for the huge towers. Xerox announced it wanted to sell its tower in 2009 and this building complex has 850,000 square ft of office space in it which would rent for $15-24 a sq. ft a year so it would generate 12.75 million to 20.4 million a year in rental income. Xerox even wants to rent this building back and this is the perfect investment opportunity if the building would sell for its assessed value of 13 million. As this building has so much space and would generate so much revenue for the owner it seems that an assessment at substantially more than one years rental revenue would be fair. Now I do not know what the value of this tower should be but I do know that it is heavily under assessed and that the city is not receiving at least a million dollars in yearly revenues, which it could be receiving from this building alone. Now consider the other large properties downtown and you see the root of our financial problems. Now to under assess like this is a statement of priorities. To give these generous deals is just one of the many services the city provides to the businesses and residents of this fair city. 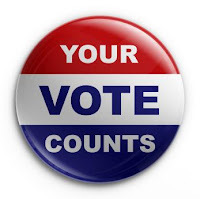 It seems odd that for years the residents have had to give up recreation centers, firefighters, library services, after school programs, police officers, and many other things so these deals can remain in place for the large property owners and businesses. It seems to me that when faced with another huge budget deficit that we should examine what the priorities of this city are and see if these sweetheart deals are in the best interests of all the residents of Rochester.